What’s Able Danger Got to Do With It? that the alleged hijackers were solely responsible for the crimes of Sept. 11. Which is the bigger story? Let Newsday know what you think! Our previous story on the Intikab Habib case was premature. We reported early Saturday morning that New York Newsday published an article about people who reject the US government’s account of the September 11 events. Newsday’s front pages on Friday, Saturday and “Early Sunday” featured Imam Intikab Habib of Corona, Queens – who expressed doubts that the alleged 9/11 hijackers were solely responsible for the attacks on New York and Washington and the fall of the World Trade Center towers. An incoming chaplain to the New York Fire Deparment, Habib was forced to resign just before taking his oath of office Friday morning. The news was accompanied by approving comments from Mayor Michael Bloomberg, FDNY Chief Nicholas Scopetta, and firefighters who were described as angered or offended by Habib’s views on 9/11. Shaffer and the four other whistleblowers with knowledge of the program have told the press that in September 2000, as-yet unidentified military brass ordered the Able Danger crew to destroy all information on Atta and three other men later also alleged to have been ringleaders and hijackers in the 9/11 attacks. Able Danger was suspended altogether on the accession of the Bush administration in February 2001. Now that you’ve read the above, we are asking you right now to take five minutes to write a brief letter to Newsday, and urge them to change their priorities in reporting news about September 11th. This week presents the best window of opportunity. Will Newsday show the courage to open its editorial pages to even one column voicing a skeptical perspective on September 11th? The only rule we absolutely beg you to follow is to be civil. If you hope to get your missive published, it should pack a punch and run no more than 200 words. Keep in mind that Newsday (like other newspapers) will only publish letters that include a return address and phone number, so that they can confirm it’s really from you. Do mention if you live in the New York area, or if you read or subscribe to Newsday in print or online. We don’t care if you mention 911Truth.org – pick the 9/11 sites, authors and sources you prefer. The idea is not to have a thousand people sending the exact same message. This action will be most effective if you each write your own piece, so we are only giving you suggestions, of which you might cover one or two along with your own ideas. The point is not to pick on Newsday. Its style in the Habib coverage has been sober and factual – in contrast to the predictably hateful echo in certain other New York dailies. It is mainly by omission that Newsday is distorting the reality of the Habib case, and of 9/11 as a whole. Newsday is one of the few major US dailies that still engages in investigative reporting – and that could actually decide to make a difference in ending the September 11th cover-up and exposing the co-perpetrators and collaborators likely to be found within our own government and its covert agencies. After sending it to Newsday, you can also post your missive here. And then you can send your friends the link to this page! 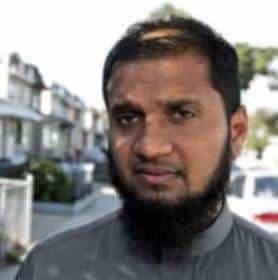 1) An imam who emigrated to New York from Guyana has been turned into the American face of 9/11 skepticism, as though millions of Christians, Jews, Buddhists and atheists haven’t been harboring the same doubts about September 11th for years. 3) Emphasizing Habib while ignoring alternative researchers and the 9/11 truth movement is unfair to the Muslim community. Once again, Muslims are being singled out. By implication, they are different from other Americans. Muslims end up defined as the ones who doubt the official story, and who do so only because they are Muslims. 5) But the Zogby poll, which Newsday has now acknowledged, suggests that half of New Yorkers don’t believe the official story, and that two-thirds want a new investigation. There’s no doubt that a substantial number of Newsday‘s readers agree. 6) This is also unfair to the millions of 9/11 skeptics around the world, whose opinions (right or wrong) derive from how they understand the facts, and are usually unrelated to their religious beliefs.And why do stories about skeptics tend to focus on the psychology that makes these “conspiracy theorists” tick? Shouldn’t Newsday and other newspapers at least report fairly on the arguments people make for not believing the official story? 7) Skeptical views of 9/11 have received a first hearing on Capitol Hill thanks to Rep. Cynthia McKinney (D-GA). This summer she hosted three days of presentations by alternative researchers, including David Ray Griffin, author of The New Pearl Harbor. Wasn’t that worthy of coverage? 8) The first day of the McKinney hearings (July 22) opened with a one-hour presentation by Mindy Kleinberg and Lorie van Auken, two of the “Jersey Widows” who fought to gain the 9/11 Commission in the first place. Point by well-documented point, they rejected The 9/11 Commission Report as a whitewash. The views of the Jersey wives were considered worthy of coverage in the past, when they supported the 9/11 Commission. Why not now? 9) The McKinney hearings were subsequently aired on C-SPAN, which also broadcast Nafeez Ahmed’s session at the DC Emergency Truth Convergence and the historic Madison speech by David Ray Griffin (transcript here). 10) What about other members of Sept. 11th families who have gone on record to demand full truth disclosure? Donna Marsh O’Connor, mother of Vanessa Lang Langer, spoke at the September 11th, 2005 Rally to End the Media Blackout in New York City. Bob McIlvaine, father of Robert McIlvaine, presided alongside McKinney as a Citizens’ Commissioner at the 9/11 Omissions Hearings in New York in September 2004. Fifty families of September 11th and one hundred notables spanning the political spectrum signed the 911 Truth Statement – including the three leading third-party candidates in the 2004 election. 11) Habib has been punished for opinions that he clearly did not intend to express in his capacity as chaplain; opinions he did not express when participating in the Fire Department’s 9/11 ceremonies two weeks before; opinions that became known only because of direct questions from Newsday. On top of being run out of the job, he now feels compelled to engage in a sackcloth-and-ashes ritual, as evidenced by his open letter. 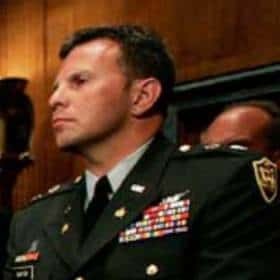 12) Meanwhile, a whistleblower like Col. Anthony Shaffer reveals that the Pentagon knew the alleged 9/11 hijackers, thought they were potential terrorists, and ordered the evidence destroyed a year before Sept. 11. And for speaking out, Shaffer has harvested a muzzle, intimidation, and ludicrous charges designed to destroy him personally. Should we be thankful that the Shaffer story at least made Page 21? 15) The idea that Saddam Hussein had any connection to 9/11 (as propagated by the Vice President among others) surely qualifies as an “outrageous conspiracy theory,” one without basis in confirmable or even reported fact. 16) Many people abhor the naked exploitation of the 9/11 events to enable an extremist agenda and a bogus “War on Terror” that has transformed America and the world. Many in addition have come to believe the attacks were allowed, facilitated or even engineered by elements of the US covert-policy apparatus so as to gain popular support for that agenda. 17) Further suspicion is raised by the way official investigations like the 9/11 Commission completely ignored bodies of evidence pointing towards foreknowledge or complicity by US officials. – Military wargames on Sept. 11th itself improbably mirrored the 9/11 scenario, apparently confusing air defense response and providing cover for the actual attacks. – The various stories of the air defense failure as told by Gen. Richard Myers, NORAD, FAA, the 9/11 Commission and USAF keep changing and conflict with each other. No one has ever been held accountable for upholding false accounts. – In fact, no one in government has ever been held accountable for any 9/11-related failure. If all of the failures are really due to incompetence, that’s almost as frightening as the idea that 9/11 was an inside job. – The Pakistani ISI money connection to the alleged hijackers was steadfastly ignored by the 9/11 Commissioners, who even made the astonishing admission (p. 172) that they think the open question of who financed the hijackers is “of little practical significance.” The motto seems to be: Don’t follow the money! – The dozen-plus warnings from foreign agencies, some of whom even delivered names of the future alleged hijackers (the same four names as came up in Able Danger!). At no point did the Commission treat any of these – it’s as though reports from outside the US never existed. – The consistent blocking of FBI investigations that might have uncovered the future hijackers, in a fashion that suggests high-level obstruction more readily than bureaucratic antagonisms or incompetence. – The march of visibly different “Osamas” appearing in the various Bin Ladin videos, all of which are of dubious provenance. Who knows which is the real one? – The many historical precedents for false-flag terror attacks arranged by an unaccountable secret policy apparatus; and the precedents for false casus belli, from “Remember the Maine” to the Gulf of Tonkin. – The case that the World Trade Center towers and WTC 7 were demolished. Why have the major New York papers refused to ask Larry Silverstein what he meant when he said that Building 7 was pulled? Our democracy is seriously endangered by the Bush administration’s post-9/11 policies, which make no sense whatsoever if they are intended to combat terrorism; but which make perfect sense in the context of the desperate grab for world power desired by the Project for A New American Century. I am humbly writing this letter to you, clarifying the statement I made on Thursday, [September] 29 2005. I was asked several times by a news reporter about the coincidence of my Islamic education being from Saudi Arabia and the 19 hijackers of September 11th also being from Saudi- whether that would place a barrier between myself and the fire fighters? I innocently explained to her after she asked me to this effect several times, that I personally do not really know who committed the 9/11 attacks based on the conflicting information that I heard from the media. My response in this context was only meant innocently to tell her that, not knowing who committed the attack avails me that idling consciousness of how my fire fighter brothers and sisters would look at me, and it makes me assimilate very smoothly with this department and thus, there should absolutely be no barriers. The news reporter’s further inquiries as to the reasons why I am not really certain who committed the 9/11 attacks prompted me to mention the conflicting information that I heard from the media. My Mayor, Fire Fighters, and New Yorkers, this was the first time I was ever interviewed by the media and I didn’t know that all of my innocent and friendly chat with this reporter would be placed in the media to cause such an outrage with my New Yorker’s brothers and sisters. I regret any inconveniences my words may have caused. This incident is very difficult on me, my family, and the Muslim community. I hope you, the members of the Fire Department, and the New Yorkers can find it in your hearts to see my innocence, and that I never meant to be insensitive to the families who have lost love ones on 9/11. It was a pleasure working for this City in the capacity of a chaplain in the Fire Department. I had a wonderful time serving my fire fighter brothers and sisters. It felt as if we were a big family. It was very hard for me to accept that the day I was to be sworn in as a chaplain, I ended up resigning. I am sure life has many lessons to learn. In conclusion my respected Mayor, fire fighters, and New Yorkers, I would like to state that neither I nor any other true Muslim in this beautiful country, in any way condone the 9/11 attacks. It was tragic, sad, and unfortunate. May Almighty God guide and bless our Mayor and the citizens of our land. WASHINGTON — It was shortly after Sept. 11, 2001, that Anthony Shaffer says he learned from a Pentagon contractor whose Able/Danger data had not been destroyed that the information gathered by the project the year before included Sept. 11 hijacker Mohamed Atta, whose name and photo had quickly become recognizable around the world. It was not, Shaffer said, the menacing Florida driver’s license photo of Atta that has become an emblem of the attacks. Within days of his conversation with the contractor, someone associated with Able/Danger brought the chart to Rep. Curt Weldon (R-Pa.), whose House subcommittee on military technology had funded Able/Danger. The contractor did not return a message left on her home answering machine. But Weldon told the Senate Judiciary Committee last week that on Sept. 25, 2001, he took the Atta chart to Stephen Hadley, then the deputy to National Security Adviser Condoleezza Rice. She is now secretary of state and Hadley is national security adviser. Hadley’s spokesman, Frederick Jones II, said Hadley vaguely recalled having been shown a chart portraying “link analysis” of the sort done by Able/Danger. But, Jones said, Hadley did not remember seeing Atta’s name or photo on the chart, whether it was Weldon or someone else who showed it to him, or whether that person left the chart with him or took it away. Shaffer, an Army Reserve officer who sat in the audience at the hearing in his uniform, was placed on paid administrative leave from his civilian job after his security clearance was lifted, after an investigation into possibly improper expense reports amounting to under $300. Shaffer maintains the reports were not improper and says he plans to appeal the suspension of his clearance. Weldon said there was “no doubt in my mind” that the security clearance had been suspended in response to Shaffer’s efforts to make the Atta story public. Pentagon intelligence officials say that while they cannot find a copy of the Atta chart, they do not dispute the credibility of Shaffer or the four other individuals who remember having seen it. “The fact that the our government had this information at one time, and possibly destroyed it, is haunting,” Weldon says, adding that he does not believe the military’s account that the Able/Danger data were destroyed only to comply with Pentagon regulations. “I seriously have my doubts that it was routine,” he says.